The mini make-over is the perfect choice for patients who are happy with the shape and position of their teeth, but would like to brighten their smile. 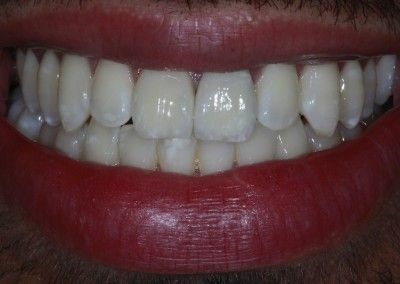 You can find out more about teeth whitening here, or you can contact us to discuss your very own mini make-over. 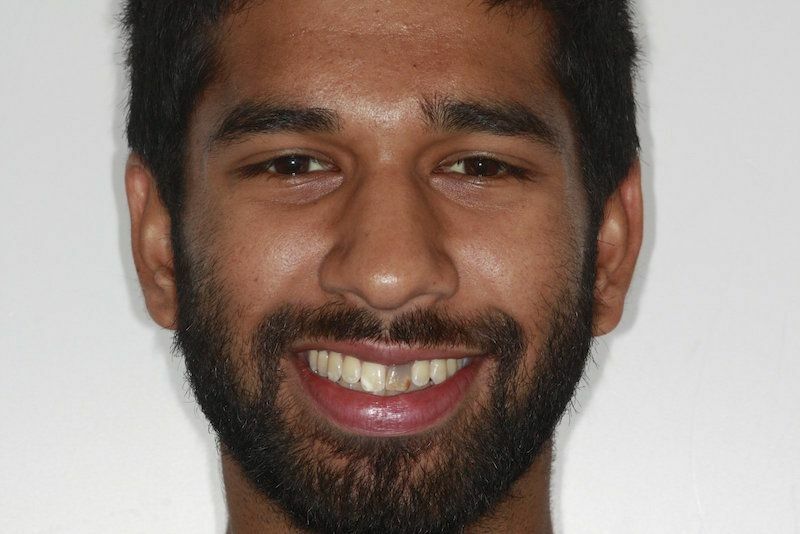 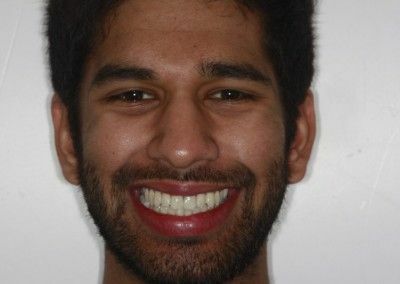 Problem: Discoloured upper two front teeth due to trauma as child, now as medical student really affecting smile and confidence, wanted better appearance. 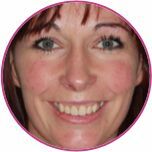 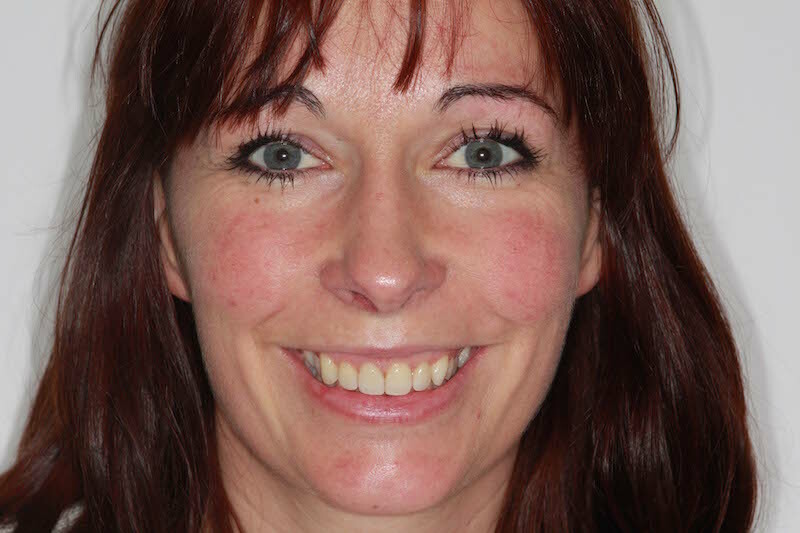 Emma came to see Dr Trivedi looking to improve the overall appearance of her smile. 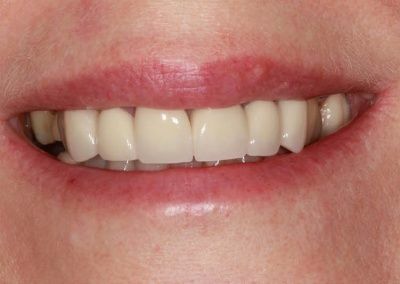 She wanted to whiten the teeth and give a more uniform appearance so opted for cosmetic veneers of the upper front teeth. 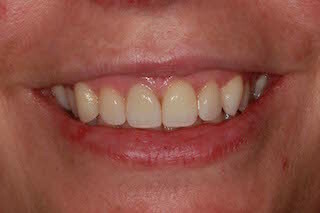 She was very, very pleased with the results and can now smile with confidence. 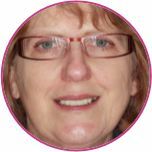 Georgina, aged 63 who is retired, came to see Dr. Trivedi looking to improve the appearance of her overall smile. 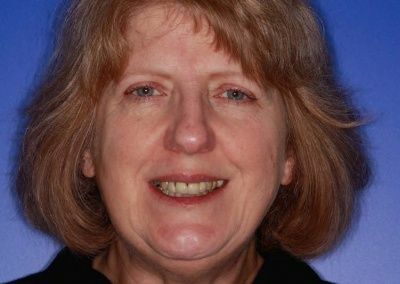 She had crowns which were old and needed replacing but due to her busy lifestyle she found it hard to find the time. 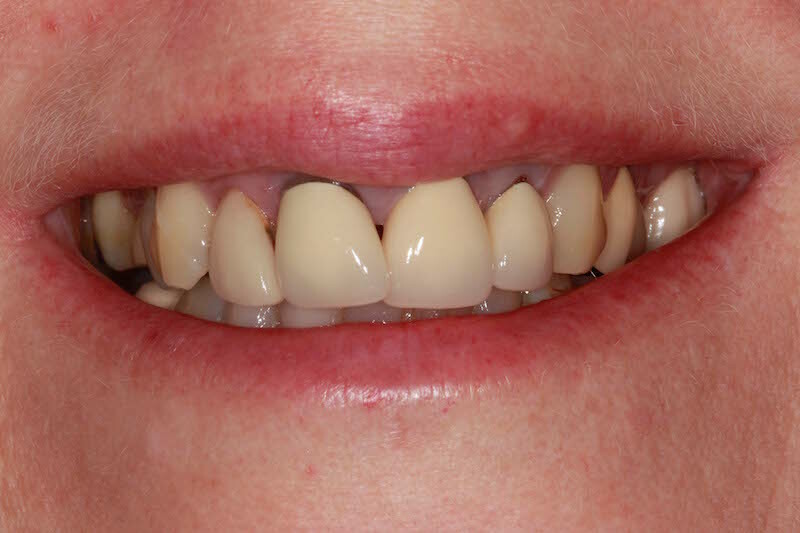 She saw Dr Trivedi to discuss her options and decided to go ahead with veneers and cosmetic crowns to give her a lovely bright smile and restore her confidence and youthful appearance. 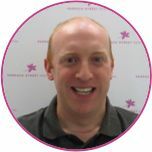 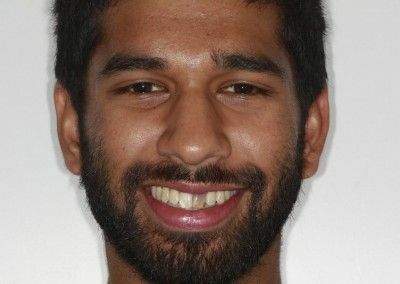 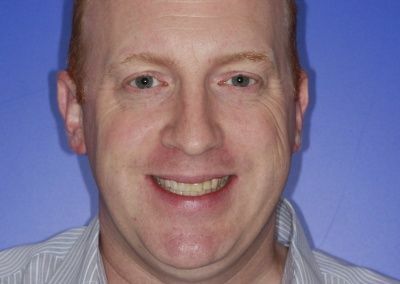 James came to see Dr Trivedi as he had knocked his tooth out and also had a dental implant that had been done elsewhere previously but was having issues with the crown constantly falling out. 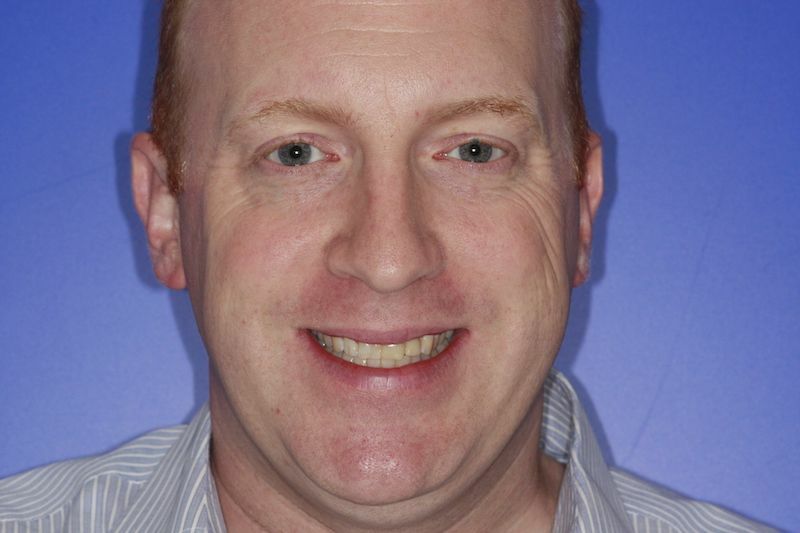 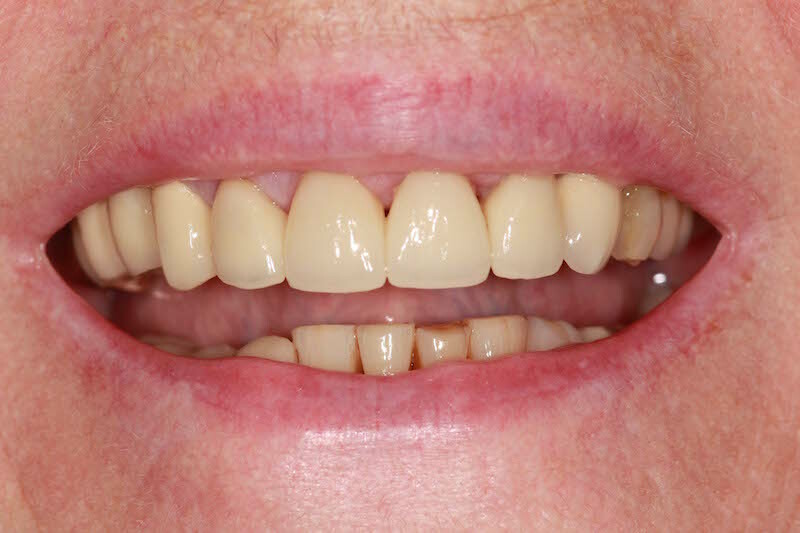 He had treatment to rectify both issues and opted for a replacement dental implant. 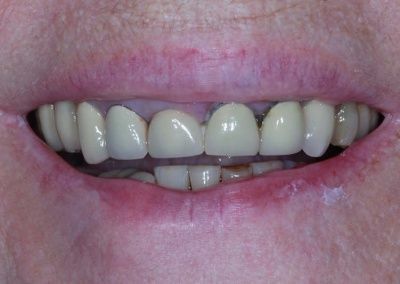 This patient attended with internal resorption (wearing away of the teeth from the inside) of his upper central incisors over many years. 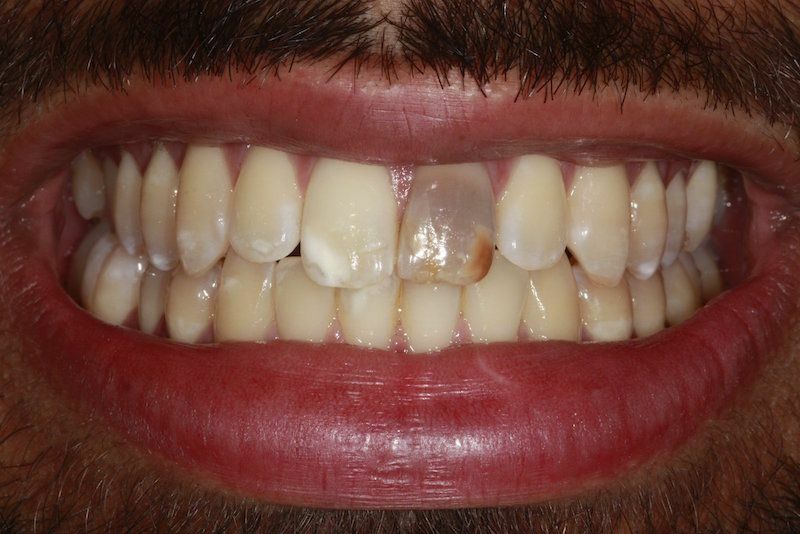 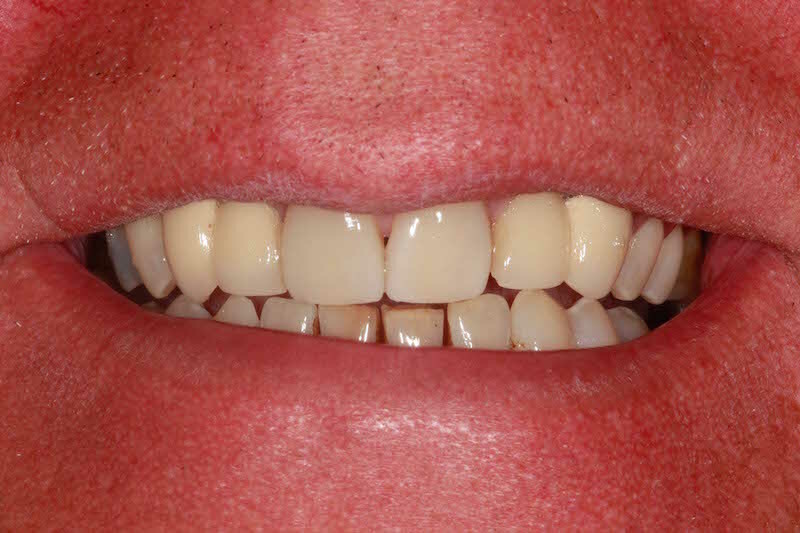 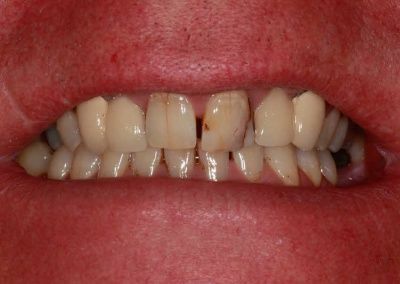 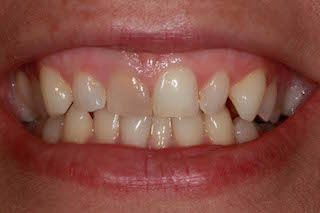 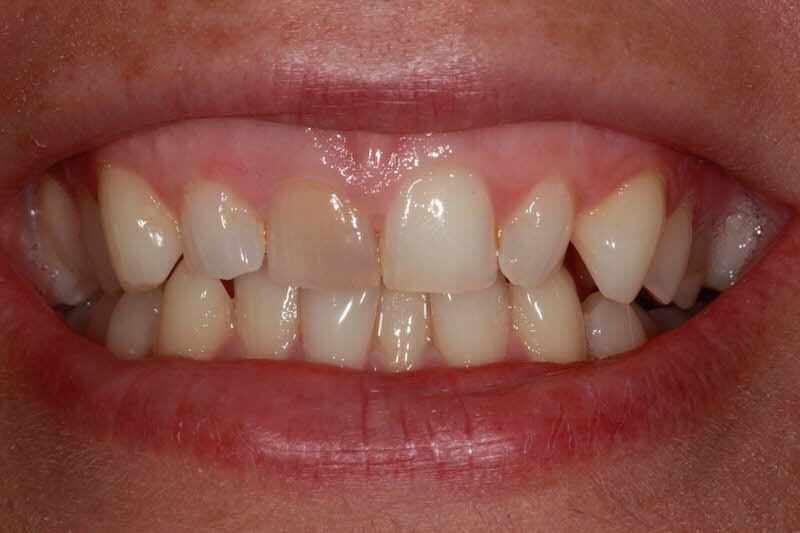 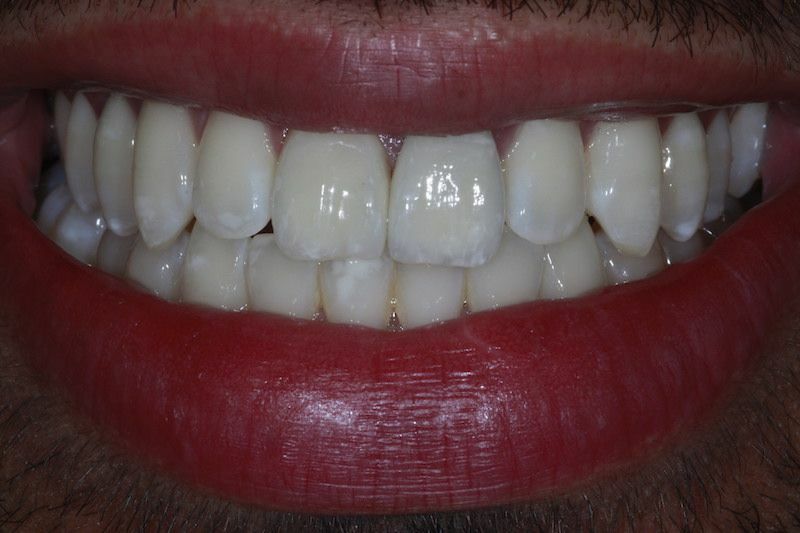 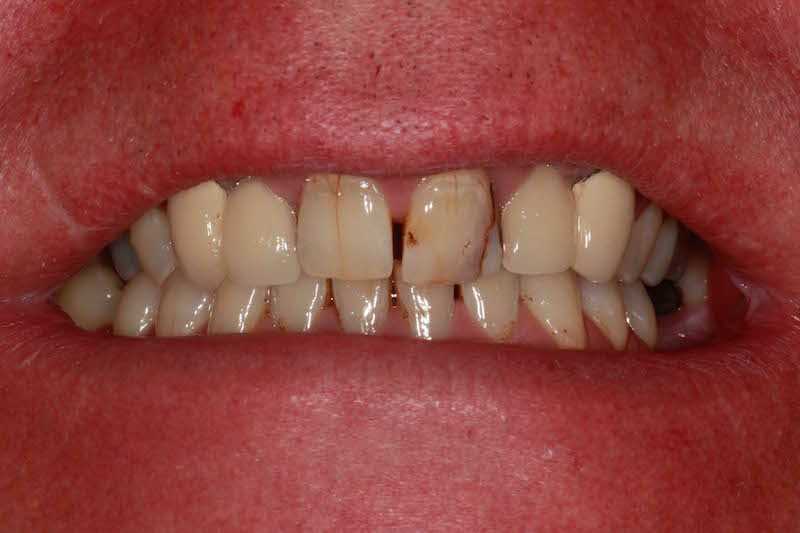 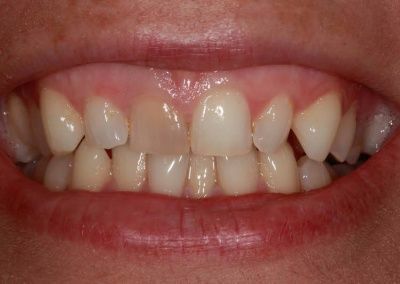 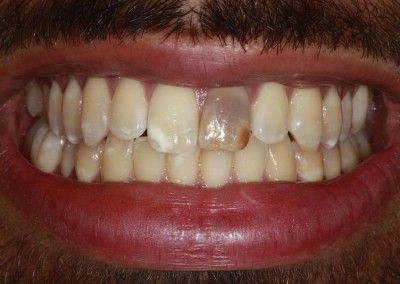 He requested replacement of these teeth with a fixed bridge and cosmetic treatment to whiten and straighten his teeth. 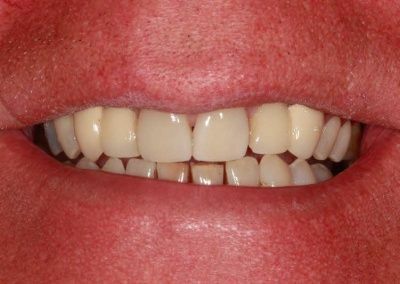 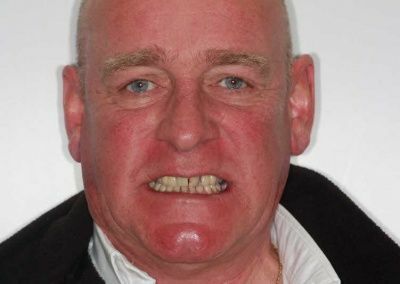 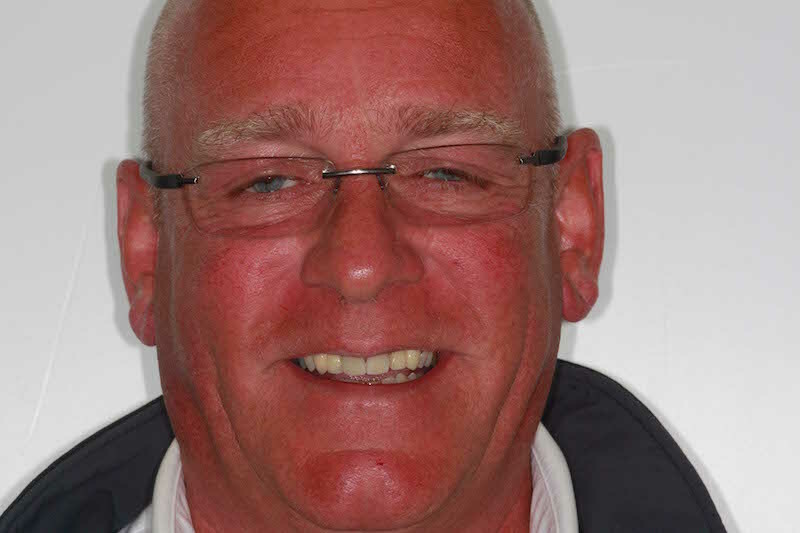 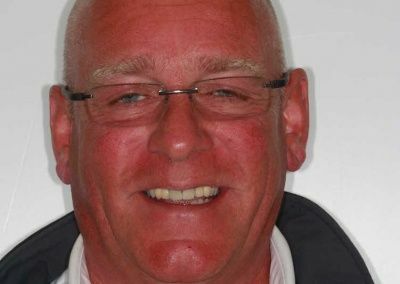 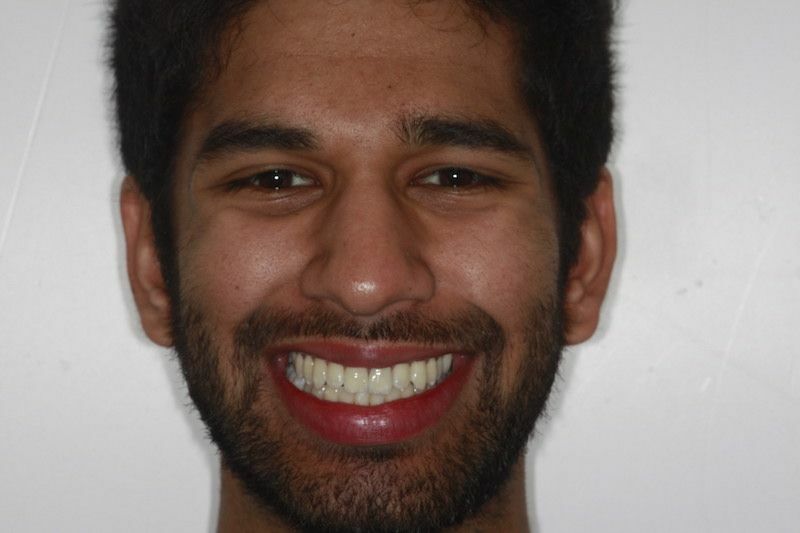 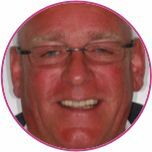 He was very happy with his treatment and his new smile which involved Teeth whitening and bridgework. 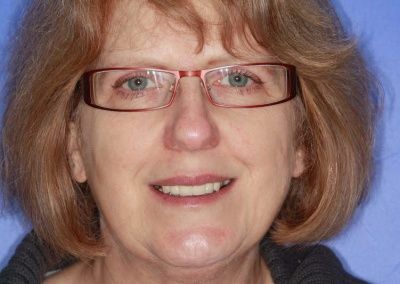 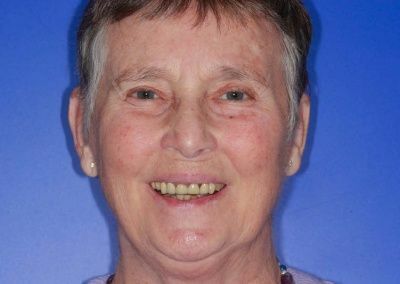 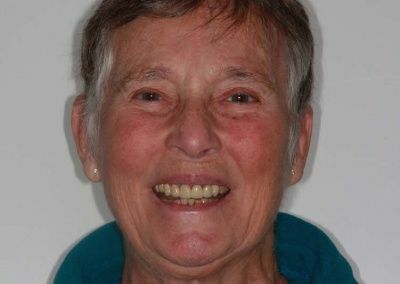 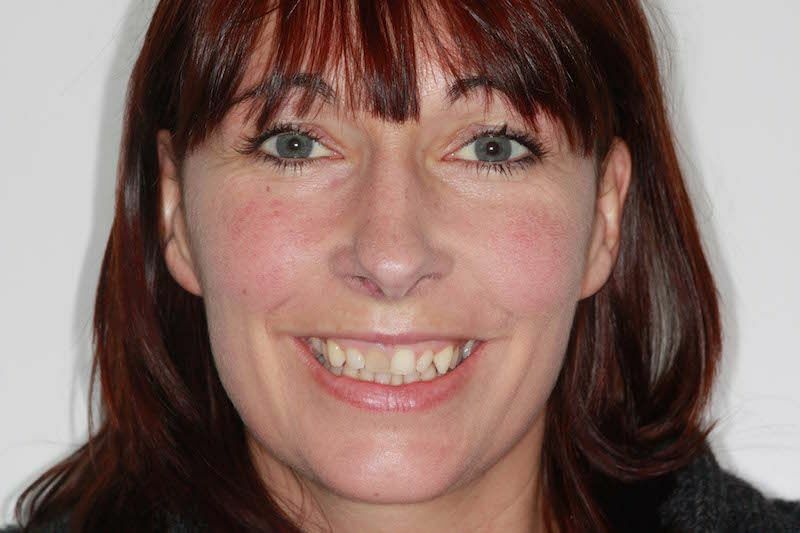 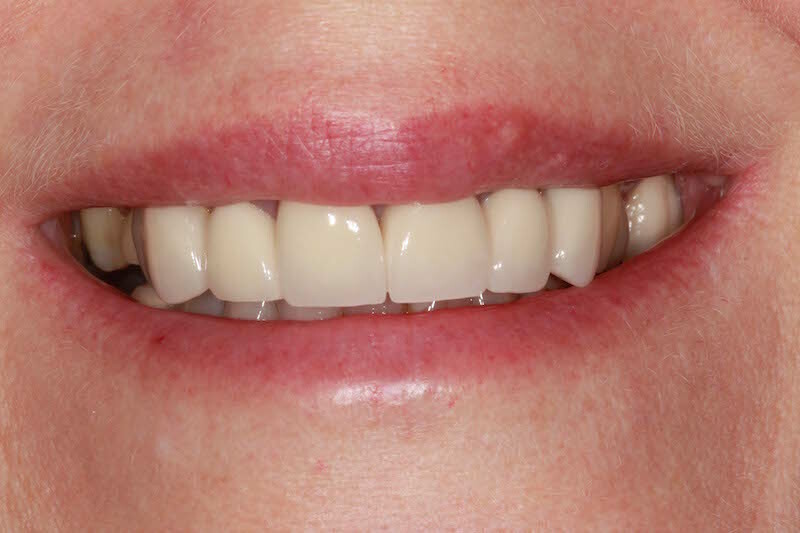 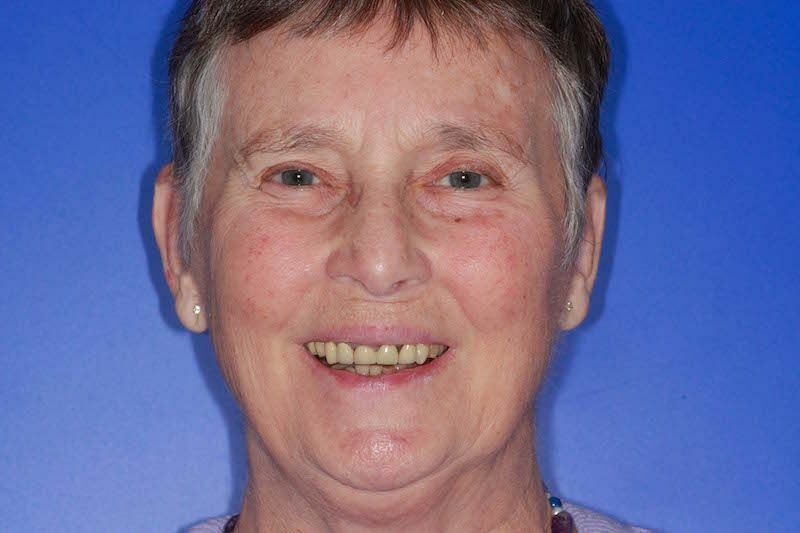 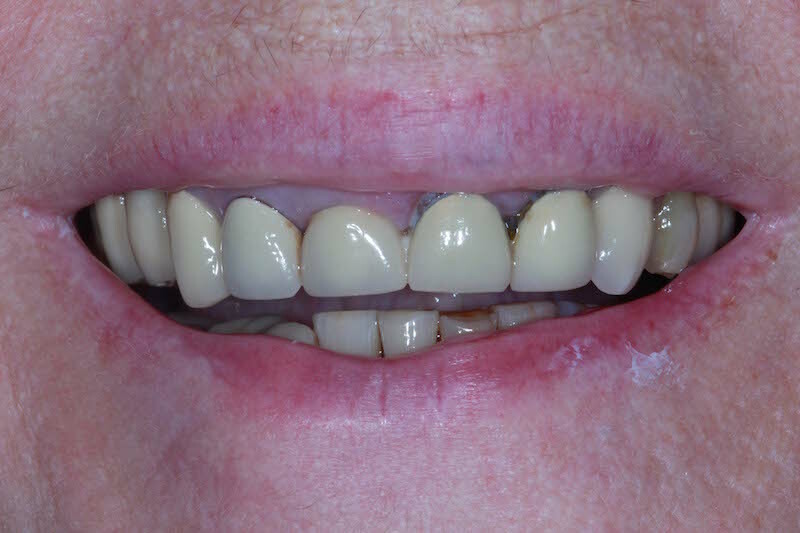 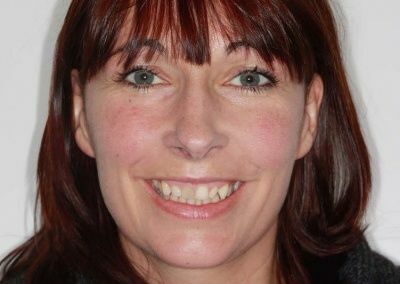 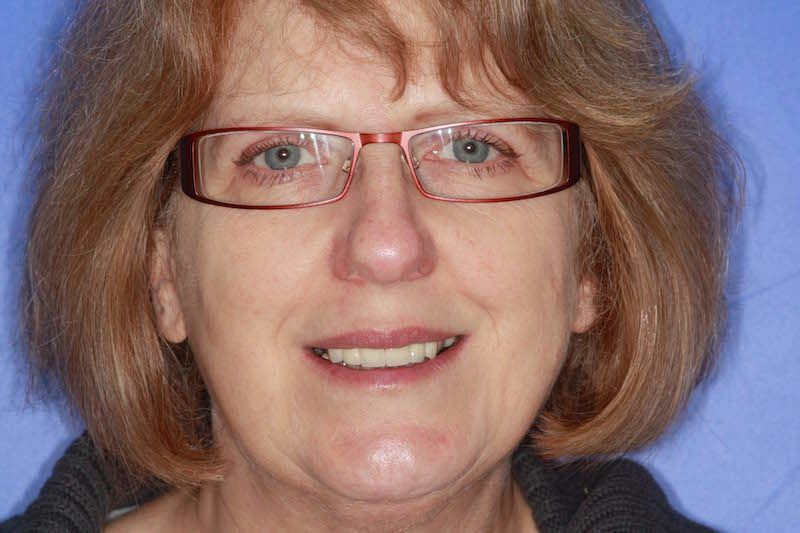 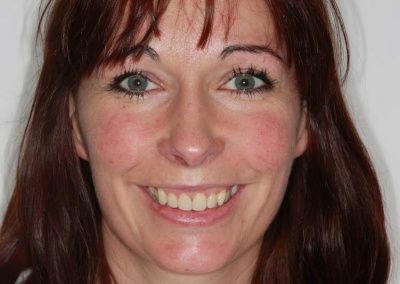 This patient came to Parrock Dental looking to improve the appearance of the upper 4 front teeth with a mini smile makeover, with a view to replace one tooth with a dental implant as a permanent fixed solution to her denture. 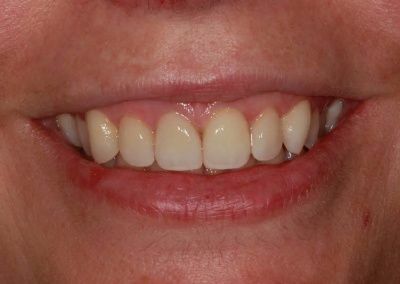 She had 2 dental implants, one upper and one lower, as well as our finest material veneers to improve the upper for teeth. 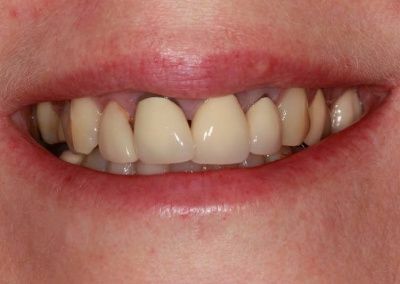 After seeing Dr Trivedi she was really happy with the results and can now eat with confidence. 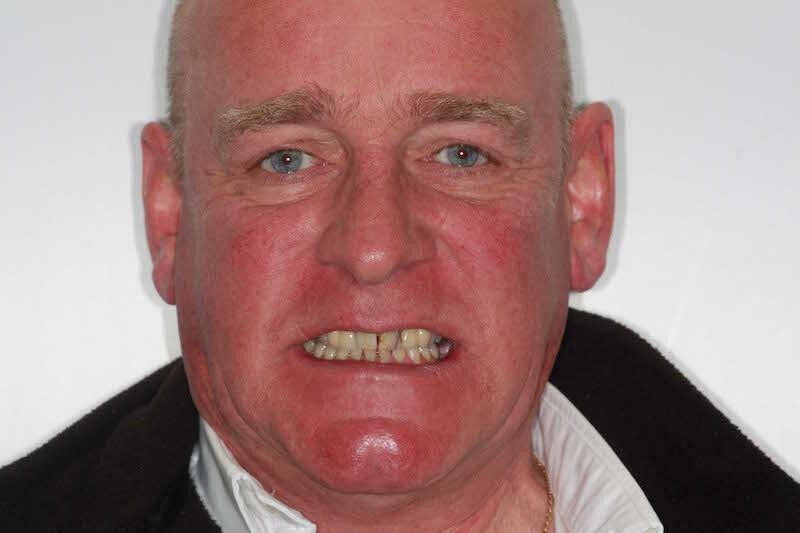 Brian came to see Rik to improve the overall appearance of his smile. 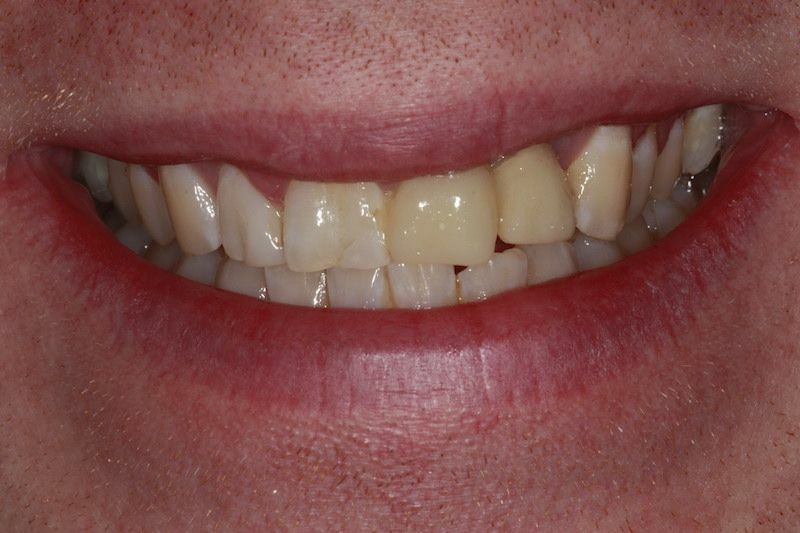 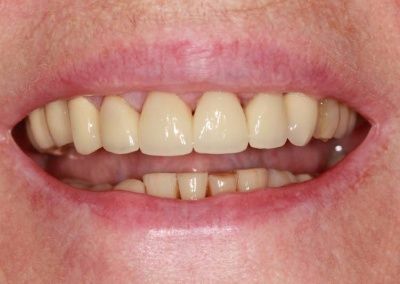 He had an existing bridge that needed replacing and wanted to improve the appearance of his front teeth. 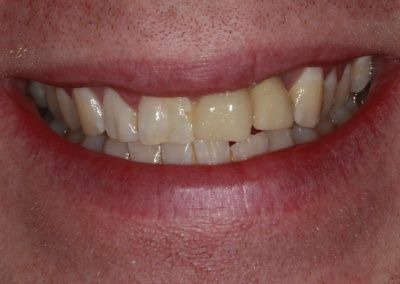 He opted for a mixture of bridges and crowns.